Are you sick of it yet? I know I am. Look, we work with clients every day and SEO is a big part of what we consult on…we get it. 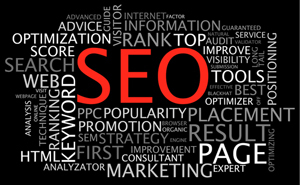 It is true that we are entering a new era of SEO. One in which we are generally concerned for the on-line well being of our clients….The Small Business Person. Can small business survive the new search marketing landscape? The quick answer is yes, but just like any cycle of change, those that adapt will survive, and those that don’t…will die a slow virtual death. Storytelling: An authentic story of how and why your business got where it’s at today. Visitors can’t help but warm up to a good story. Content: Deliver content that tells who you are and includes value. Develop bonds and create a following: Good content can create an emotional bond with your readers. Being transparent in your approach gains followers. Establish Leadership and Expertise: Work to become the go to resource for a particular niche and become an expert in that market. Nurture Your Community: Continue to deliver top notch content, maintain regular contact and be visible, engage your visitors with occasional specials, games etc. This helps to strengthen on line communities. We forget sometimes that SEO is a marketing channel, so it’s best to think sometimes as traditional marketers. Your SEO plan, or company, should have a process in place to turn casual browsers into social contributors. If you want to stay ahead of the SEO curve, my advice is to subscribe to some great SEO blogs, such as SEOMoz, or SearchEngineLand.com to stay on top of the latest tactics. Only implement them, once you know they’re not some so-called guru’s trends. Filed under: Business Strategy, Digital Marketing, How To Communicate, SEO.